The ideal pools to swim are certainly indoor olympic pools. There are often discounts accessible to senior citizen and small children. Discover by contacting your nearest pool in Castille and León. Are you a standard swimmer? Do you visit precisely the same Indoor Pools in Castille and León? Please check that all the information for your aquatic center are correct and make contact with us when you obtain any mistake. Please check the nearest Swimming Pools or Contact us to ADD IT. It is cost-free! 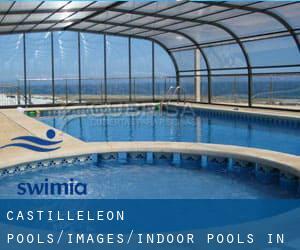 Thanks to some new Indoor Pools in Castille and León submitted every single day, Swimia.com is increasing day-to-day the number of stored pools. Please don't hesitate to contact us in case you locate any inaccurate or incomplete facts. Swimming is usually a sport for all ages. It helps young people to tone their muscles and grow healthy and powerful. Holding an estimated population of 178.966, Burgos is among the most important cities in Castille and León. Check all the Swimming Pool in Burgos and its surrounding area. Without a shadow of a doubt, swimming in Salamanca is the best way to unwind soon after perform. 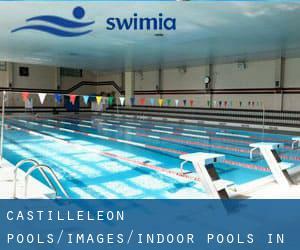 Take a couple of minutes to browse Swimia's catalog to find a Swimming Pool in Salamanca. Swimming is really a excellent idea to keep your body active during your visit to Valladolid (Castille and León), or even if you are a local. Swimia assists you to find your closest Swimming Pool in Valladolid. Updated on 2019 C/ Victoria Balfé s/n 09006, Burgos.. Updated on 2019 Calle Fuente el Sol, 62 , Valladolid , Spain (Postal Code: 47009). Among all the activities supplied by the center, for anyone who is interested in swimming you can enjoy 25 meters x 16.7 meters, 1.2 meters minimum depth, 1.2 meters minimum depth, Indoors. Just in case you want to contact this Swimming Pool before dropping by, we only know the phone number. Updated on 2019 Calle Gil de Villasinta s/n , Leon , Spain (Postal Code: 24005). Swimmers like you have reported 25 meters, 6 lanes, Indoors. Also, you will find 25 meters, 6 lanes, Indoor/Outdoor. Just in case you need to contact this Swimming Pool before dropping by, we only know the phone number. Updated on 2019 Paseo del Ferrocarril, s/n , Salamanca , Spain (Postal Code: 37003). Swimmers like you reported 25 meters, 3 lanes, Indoors. Unfortunately we do not have the email address of this Pool, but we can give you the phone number. Updated on 2019 Avda. Salamanca, 229 , Salamanca , Spain (Postal Code: 37005). Among all the activities offered by the center, should you be considering swimming you might enjoy 25 meters, 9 lanes, Indoors. Just in case you desire to contact this Swimming Pool before dropping by, we only know the phone number. Updated on 2019 Calle del Cardenal Torquemada, 53 , Valladolid , Spain (Postal Code: 47010). This sports center offers 25 meters, 8 lanes, Indoors. For this Pool, only phone number is number here. Updated on 2019 Paseo de Juan Carlos I, nº 16 , Valladolid , Spain (Postal Code: 47013). Among all the activities offered by the center, should you be interested in swimming you will take pleasure in 25 meters x 12.5 meters, 6 lanes, Indoors. Just in case you would like to contact this Pool before dropping by, we only know the phone number. Updated on 2019 C. Almendrera s/n , Arroyo de la Encomienda (La Flecha) , Spain (Postal Code: 47195). Swimmers like you have reported 25 meters, 6 lanes, Indoors, Outdoors. Also, you will find 25 meters, 6 lanes. Just in case you wish to contact this Swimming Pool before dropping by, we only know the phone number. Updated on 2019 Pº de Zorrilla, esquina calle Daniel del Olmo , Valladolid , Spain (Postal Code: 47008). This sports center offers 25 meters, 8 lanes, Indoors. For this Pool, only phone number is number here. Updated on 2019 Paseo de la Julia s/n 34004 Palencia. Among all the activities offered by the center, should you be enthusiastic about swimming you may enjoy 25 meters x 12.5 meters, 6 lanes, Indoors. If you need to contact this Pool, email address and phone number are both number. Updated on 2019 C/ Abad de Santullán, 2 24008, León.. Swimmers like you reported 25 meters x 12.5 meters, Indoors. Phone number and e-mail address are number for this Swimming Pool. Updated on 2019 Avenida Campos Góticos , Palencia , Spain (Postal Code: 34005). Swimmers like you reported 25 meters, 6 lanes, Indoors. Unfortunately we do not have the email address of this Pool, but we can give you the phone number. Updated on 2019 Plaza Biólogo José Antonio Valverde, 3 , Barrio de Pajarillos , Valladolid , Spain (Postal Code: 47012). Swimmers like you reported 25 meters x 16.6 meters, 8 lanes, Indoors. Unfortunately we do not have the email address of this Swimming Pool, but we can give you the phone number. Updated on 2019 Avenida del Valle del Esgueva , Valladolid , Spain (Postal Code: 47011). Few days ago a regular user of this center told us they offer Olympic size x 21 meters, 8 lanes, Indoors. Furthermore, they keep in good conditions 25 meters x 16-2/3 meters, Indoors. For this Swimming Pool, only phone number is number here.